The house is located in an elegant residence , 150 meters from the beautiful beach of Campulongu. The house is on two levels and has three bedrooms: one double bedroom with small porch, another double bedroom that overlooks a small courtyard, a bedroom with two single beds . The house overlooks a large private garden. Next to the house there is a shared swimming pool ( open from 15th June to 15th September). The house is located in an elegant residence , 150 meters from the beautiful beach of Campulongu. The house is on two levels and has three bedrooms: one double bedroom with small porch, another double bedroom that overlooks a small courtyard, a bedroom with two single beds . The house overlooks a large private garden. 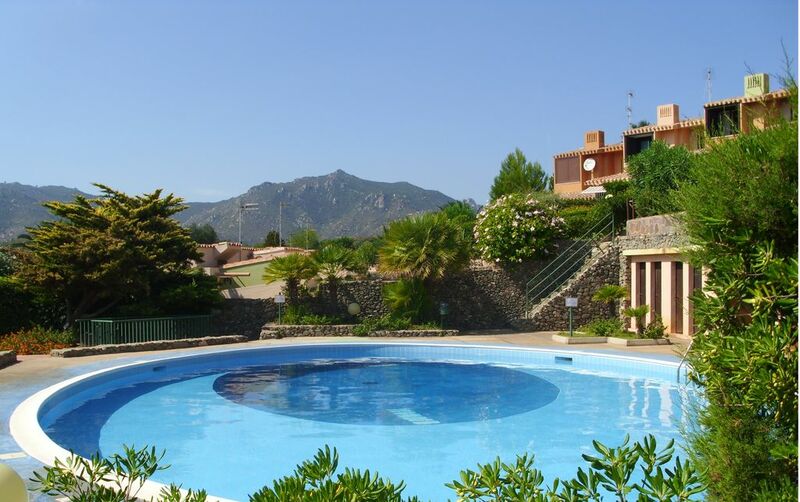 Next to the house there is a shared swimming pool ( open from 15th June to 15th September). Nous avons passé un très agréable séjour dans cette maison. Nous avons beaucoup apprécié la terrasse sur laquelle nous avons pu prendre tous nos repas. La maison est très fonctionnelle, propre et très bien équipée. La piscine est un vrai plus dont nous avons su profiter ! Nous recommandons cette location ! Super schöne Gegend, großer Pool und saubere Ferienwohnung, allerdings für Kinder im Krabbelalter, aufgrund der Treppen im Wohnbereich, nicht zu empfehlen. Schöne Lage, nicht weit vom Meer entfernt und zu den schönen Stränden ist es mit dem Auto auch nur eine kurze Strecke. Gute Einkaufsmöglichkeiten, nette Restaurants. In der Nebensaison ist es auch noch angenehm warm. Die Strände in dieser Region sind für kleine Kinder sehr gut geeignet. Beautiful property in a beautiful location! This is a very special place! We enjoyed our stay very much and Francesca and her husband were very helpful in getting us acclimated. The locations is perfect as you are close to Villasimius and to the most beautiful beaches! There are many restaurants and shops nearby. Highly recommended! We spent 2 lovely weeks in the small cozy house. The private garden is full of colorful flowers and fenced by a wonderful oleander hedge. The cottage was clean, equipped with all daily things you need and has a special charm through the multilevel floors. At night we have appreciated the air conditioning a lot. Unfortunately, was one bedroom without air conditioning. The kitchen is very small, which made cooking a little laborious, a bit more shelf space and 2 hotplates more would have been nice. The community pool was clean, well maintained and offered a lot of variety to the sea or nightly cooling. Very nice even with night lighting. Its location was ideal concerning to the distance to the beach. We were walked down to the beach in 5 min… with two children, a huge bag, parasol etc. The beach was a mixture of fine sand and flat stones that could be used excellently for creative building sandcastles. The sea was great, awesome, just gorgeous!!! Crystal clear, clean and really as everyone had always described it, a bit Carribean feeling in Europe. All in all it was a great beach holidays. So we take sunny Sardinia and its nice people to our heart. It will not be the last time that we have visited this great island. nightly cooling. Very nice even with night lighting. All in all it was a great beach holiday. So we take sunny Sardinia and its nice people to our heart. It will not be the last time that we have visited this great island.